The God's own country Kerala is blessed with monsoon/rainy season.Each every people in kerala eagerly waiting for June, the monsoon starting month. As the first drops of rain touches the sand, the lovely smell tickles your noses and you know that the monsoons are here. The arrival of monsoon clouds over the Arabian Sea in June every year is an eagerly awaited event in Kerala.Monsoon mornings bring a refreshing smell of earth, crisp air, washed streets and ominous clouds rolling across the sky. But monsoons reduce the immunity of our body and make us susceptible to many diseases which are commonly associated with this season. It is time for us to keep our body resistant against diseases by boosting our immunity and taking precautions against these diseases. 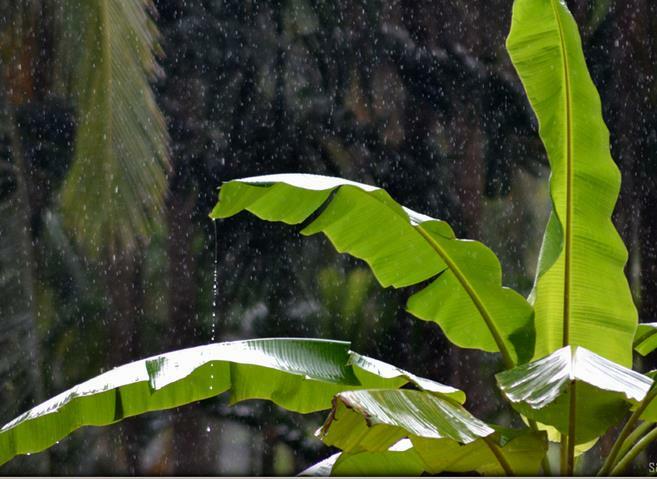 According to Ayurveda, monsoon is the time when the humidity levels in the atmosphere are high. Add in the warm temperature and the result is that the body's digestive capability goes down. In fact this is the time when the digestion is at its lowest, when people eat some incorrect foods during this time the result is illness! •	Wash all green vegetables thoroughly as a lot of worms and insects are hidden in the leafy vegetables. •	Eat light foods like vegetables, fruits, cereals etc and avoid too much of meat or fish. One can also enjoy grilled, tandoori foods which need minimum oil/butter. •	Consume a lot of bitter vegetables like karela (bitter gourd) and bitter herbs like neem (basil), methi (fenugreek) seeds, haldi (turmeric) as it prevents infection. •	Of course enjoy the tea and snacks on a wonderful rainy day, but make sure that rest of the diet is health friendly! •	Avoid heavy, salty food as it promotes water retention and bloating. It is better to have medium to low salt food. •	Avoid fried foods as they decrease the digestive efficiency. •	Avoid salads or choose warm/steamed salads as there are many infectious organisms in this season. •	Avoid foods which are very sour like tamarind (imli), chutneys and pickles as they promote water retention. •	Avoid consuming dairy foods like paneer, raita etc outside at a street vendor.